Lethbridge First Aid is the most popular St Mark James training service affiliate in Alberta. Because Lethbridge First Aid offers quality programs at very affordable rates, students keep enroling in their CPR training courses. Full courses and stand-alone classes are available for cardiopulmonary resuscitation (CPR) and first aid training. The Lethbridge First Aid website has a complete list of available programs and classes. After choosing the classes you want to sign up to, just complete your enrolment through e-mail, telephone call, or walk-in during business hours. Rates are very cheap, the cheapest in Lethbridge, Alberta. They include taxes, certificates, and St Mark James training manuals. Full refunds are given to trainees who drop out, provided a 72-hour notice is done beforehand. There are no additional expenses beyond the initial enrolment fee. All instructors are St Mark James certified professionals. Private instructors have hourly rates for private training at home or for a special event like a company outing or conference. Facilities are spacious and well-maintained. Only the latest AED trainers, training mannequins, and first aid training kits. 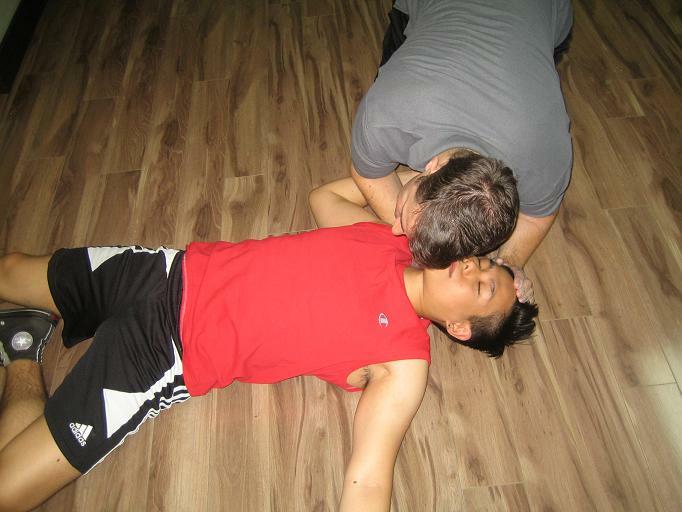 CPR training courses in Lethbridge First Aid are focused on knowledge and skill development in recognizing and reacting to different emergencies such as cardiac arrest, heavy bleeding, and choking. There are three levels in CPR trianing, each corresponding to a particular age group and target audience. Levels A, C, and HCP last four, five, and six hours respectively. There are three training courses for CPR and first aid: A, C, and HCP. First time students can enrol in A or C and health care providers can enrol in HCP. To pass a class, the student must have complete attendance, adequate skill demonstration, and at least 75 percent on the written exam. Certificates are awarded after the completion of a training program. Certificate cards are given to all passers but wall mount sizes are also available. These certificates are valid for three years and can be renewed / re-certified through recertification classes (awards must be current to be re-certified). Lethbridge First Aid has recertification classes for levels C and HCP. Both classes are four hours long and are held twice a week. I would like information on taking a cpr class in lethbridge, dates, fees etc. I am interested in opening my own day home, and I would like to have cpr certification before I do so. Classes will start in the Summer of 2014. Check our pages in the upcoming months for a schedule. Visit the Red Cross website in the meantime to find a provider near you.